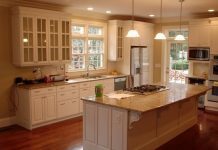 Appliances are utility-based additions to the kitchen without which a kitchen is never complete. 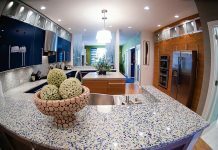 But it does not mean that you need to compromise on the style and decor of your kitchen. 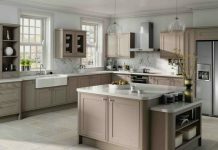 Here are some quick tips on how to choose kitchen appliances that enhance the décor of your kitchen. The main cooking appliance for any kitchen is a cooking range. Stainless steel is the metal of choice as it confers a professional look to any décor idea. Cooking ranges come in a variety of styles –hot plate, griddles and wok burners. They are available in a number of combination types, with multiple ovens, microwaves in both electric and gas formats to form a single console. There is a fairly wide range of color choice to go with the rest of your décor. A refrigerator is the most important part of any kitchen. Choosing one that gels with your kitchen décor is as important as one that fulfils your storage needs. Refrigerators come in 3 basic options – top and bottom, side-by-side and built-in models. Today many refrigerators come in painted steel panels that can go with your kitchen color. Fridge Free Direct is an expert in providing refrigeration solutions for any kitchen type. Visit online store and explore your refrigeration options. Based on the traffic and how much of a host you are, you can go for additional refrigeration such as wine coolers, ice machines and chest freezers. Exhausts are inseparable units of cooking ranges. They go hand in hand with the selection of stoves. The design and volume of the exhausts depends directly on the type and size of the cooking range chosen. It also depends on your cooking style and how busy your kitchen is. If your cooking range is a stainless steel model then the exhaust would also be the same to complement the look. The newest options in this category are the flat panel models made from fiber glass which reduce the shadow effect of their metallic counter parts. Another option is concealed extractor hoods that work very well with suspended ceilings. 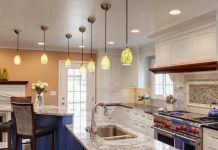 In this case they are only visible as vents and therefore alleviate the effort of decorating your kitchen to an extent. These are some of the basic must-haves in any kitchen. Apart from these a kitchen is bound to have additional appliances such as mixers, blenders, coffee machines and dishwashers. 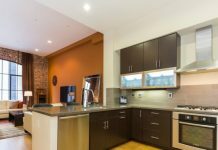 Though black and white are the most common color options available, you can go neutral and choose appliances with stainless steel finish to avoid color coordination hassles. If you fancy giving your kitchen an old style cottage feel then try adding a wood burning stove to the decor. They are great for those cold winter months and give the room a lovely cozy feel. Visit woodburningstovesandflues.co.uk to find out more.